Grants worth £10 million are being made available to help develop commercial launch capability for spaceflight, Science Minister Jo Johnson announced today. The funding comes as the government announced the timeline for new legislation which will facilitate and regulate commercial spaceflight. 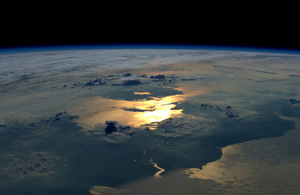 The government’s ambitions for the UK to hold a greater share of the commercial spaceflight market, worth an estimated £25 billion over the next 20 years, took a step forward with a call for businesses to develop competitive, commercial and safe spaceflight proposals for UK-based satellite launch services and sub-orbital flights. Spaceflight offers the UK the opportunity to build on our strengths in science, research and innovation. It provides opportunities to expand into new markets, creating highly-skilled jobs and boosting local economies across the country. That is why it is one of the key pillars of our Industrial Strategy. We want to see the UK space sector flourish, that is why we are laying the groundwork needed for business to be able to access this lucrative global market worth an estimated £25 billion over the next 20 years. The call for proposals I announced today, together with a new, dedicated Spaceflight Bill, will help make our space ambitions a reality. There will be further discussions with industry on the future of the UK’s commercial spaceflight market at the Royal Aeronautical Society on 21st February, hosted by the UK Space Agency.